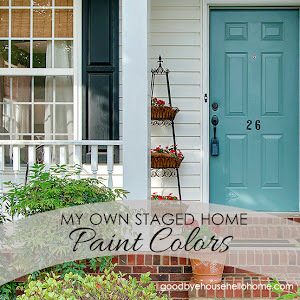 I have hundreds of staged room and space transformations to share with you! So I'll be trying to share more often. but it needed to be more neutral. 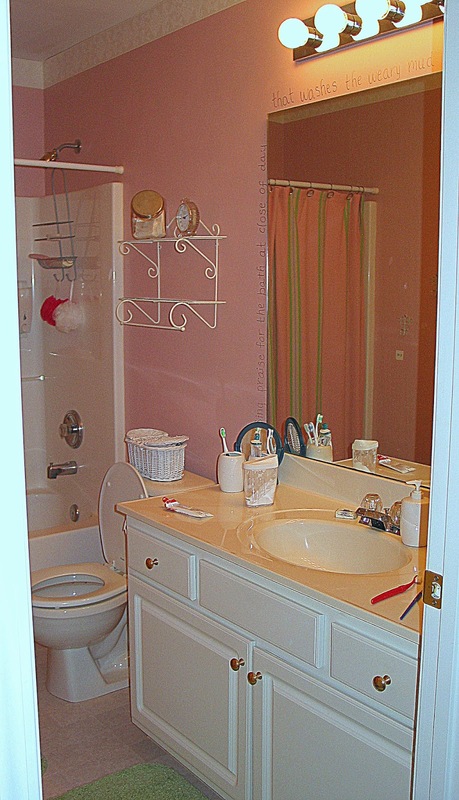 Bathrooms need to look as clean and as up-to-date as possible. They also need to feel luxurious and spa-like. and the cabinet by the sink was moved here instead. Items were simplified and much got donated. as was the shampoo/soap dispenser. 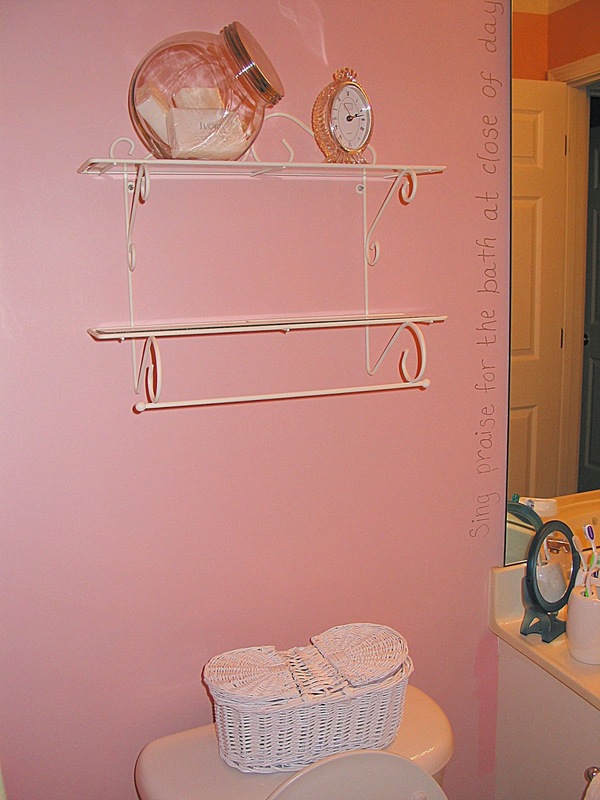 Paint the walls in soothing colors. Pale blues and greens or even khakis are welcome here. 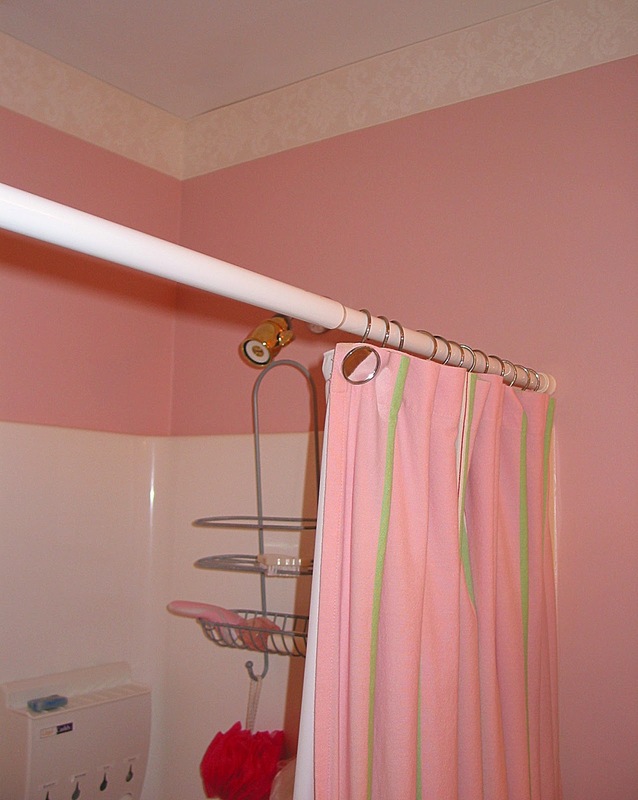 Bathrooms especially need to feel cooler and brighter. Get new towels. The fluffier, the better. I always use white. 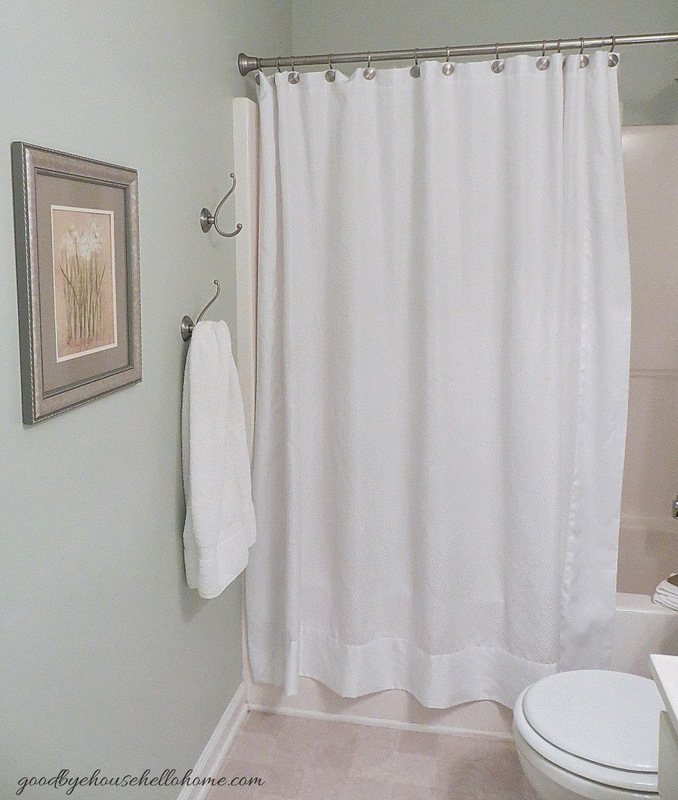 Because you can't keep towels off-limits during the times that your home is not being shown, they will get used and dirty and can be bleached. 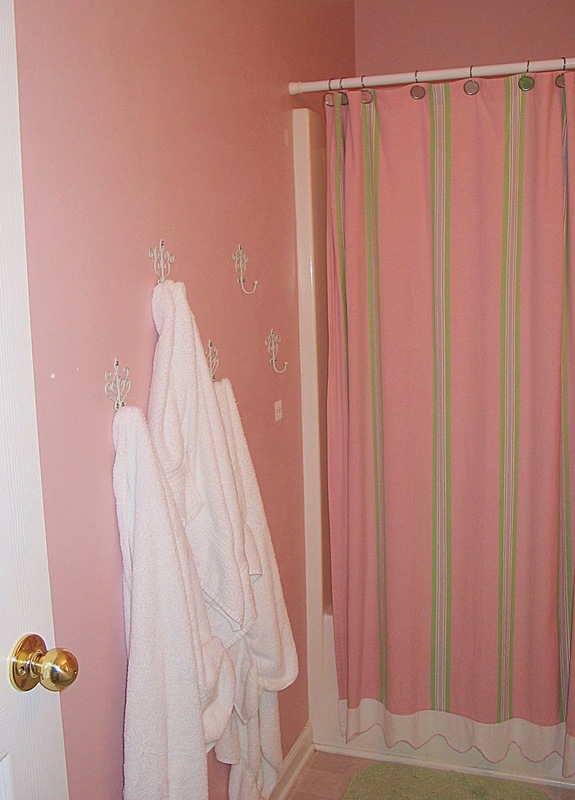 Buy sets of towels and layer them. Hide daily-use toiletries. The worst thing that you can do is to leave evidence that people actually clean themselves here. 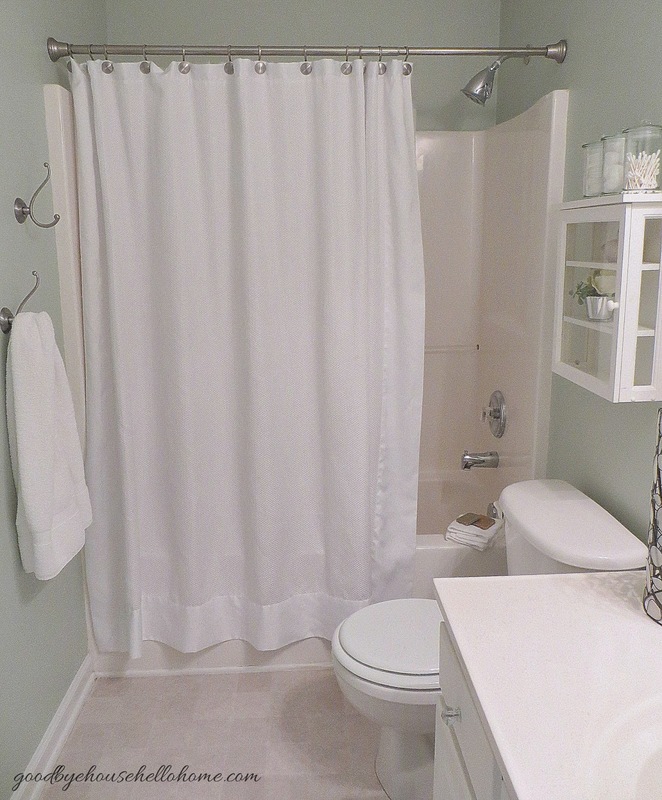 Buyers want to feel as if the bathroom has been prepared just for them. 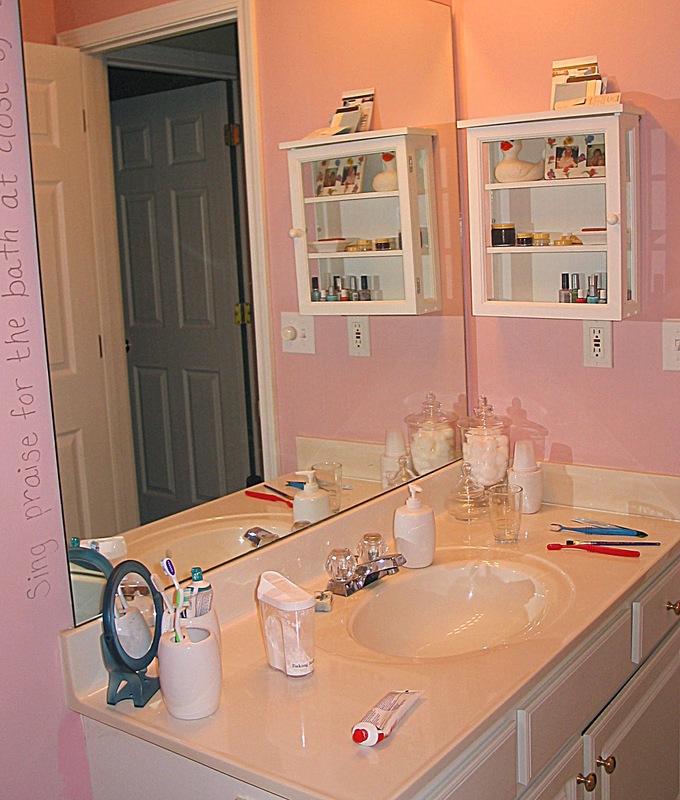 Organize the toothbrushes, sprays, lotions, hairdryers, and hairbrushes in a basket under the counter. Make all the hardware matching. 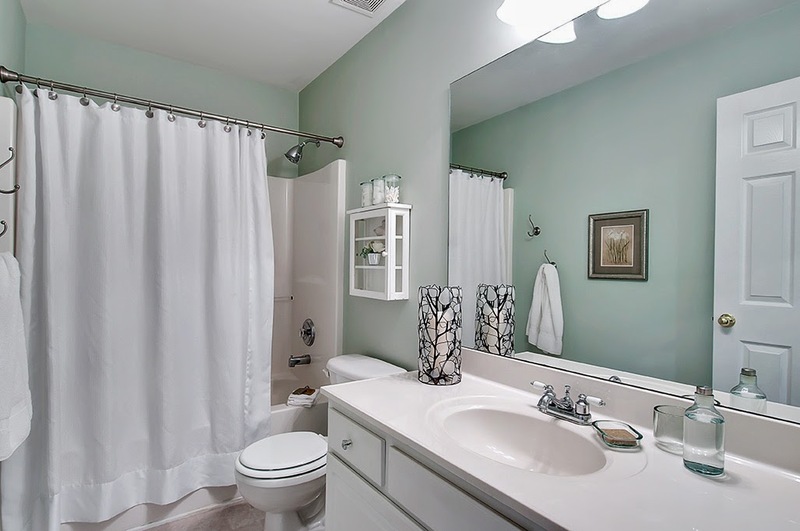 Either do all chrome, all brushed nickel, or oil-rubbed bronze knobs, faucets, and lights. Brass is out. Change it. Keep it immaculately clean. There should be no mold, mildew, soap scum, or toothpaste splatters. 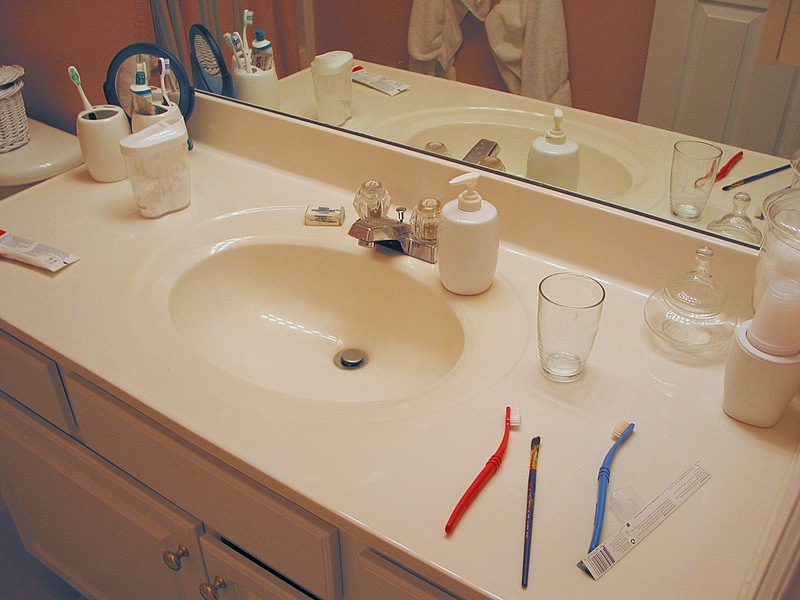 Keep the toilet fresh and don't just hide junk under the sink. Keep it neat there, too. Buyers do look under the sink. 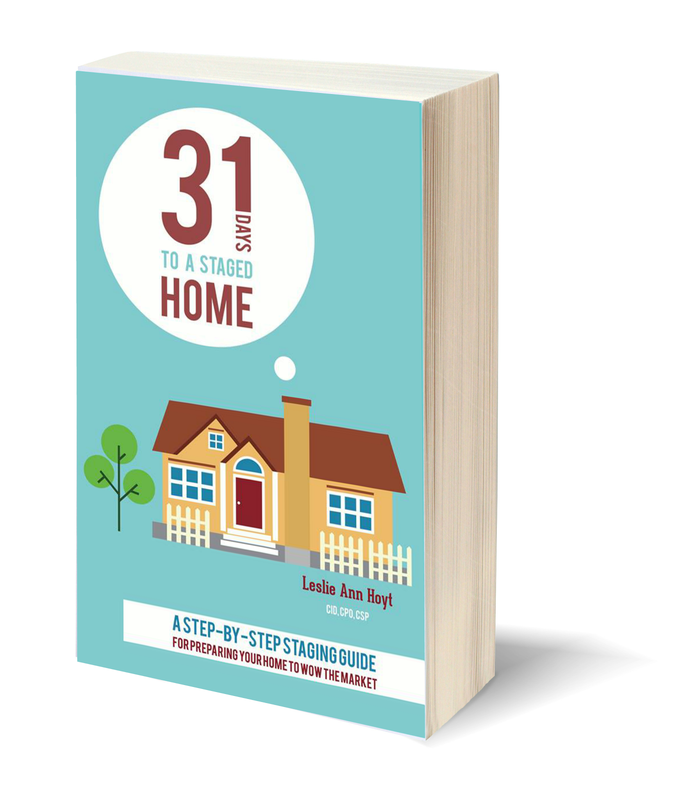 I've written an e-book to help you stage your home so that it sells quickly! It's full of solutions, encouragement, how-tos, and why-tos! You can download it on your computer or on your Kindle. Lovely transformation. I love the new colors. Hi Brandi! Thank you! It made the room grown-up, that's for sure! Very nice,Leslie. 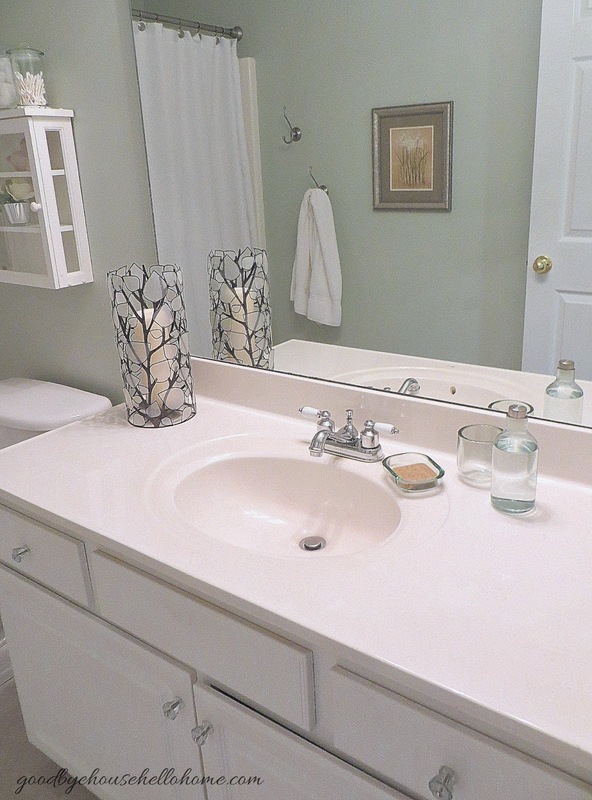 As a side comment, in SO many home for sale photos I see the toilet lid up. That just seems to be wrong / unprofessional. Am I being weird about this? This is so pretty! What color paint is used? You are so right! Everyone expects a modern look and spa-feel. I love the updates you implemented. 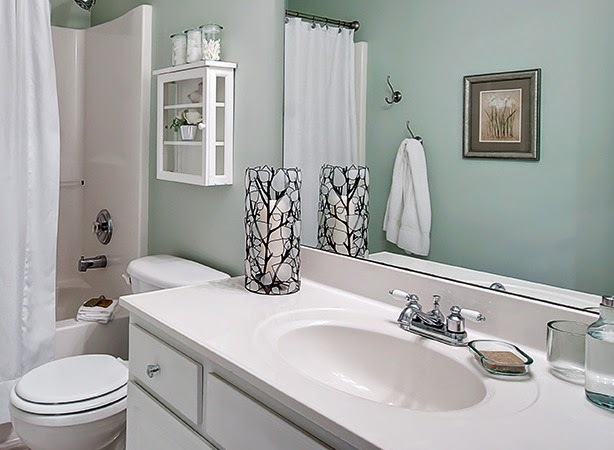 I'm usually so anti-extra bathroom cabinets, because they typically look outdated and boring, but the white one you selected is such a fresh twist. I love it! Perfect transformation! Simply done but elegant nonetheless! Love the transformation. The colors now scream modern & clean to me. Great job! So beautiful Leslie! What a difference. Love the tips you shared too. That is quite the change, Leslie. I agree that it looks very clean and spa like now. Crisp, clean and classy. Do you have information on the shelf above the toilet? 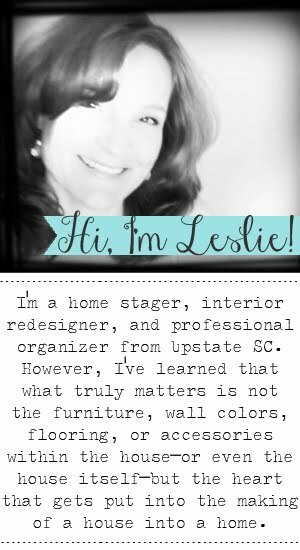 Hey Leslie ... love that pairing of the softest blue with white! And thanks, friend, for keeping my blog on your right side inspiration list. Just too lovely of you!